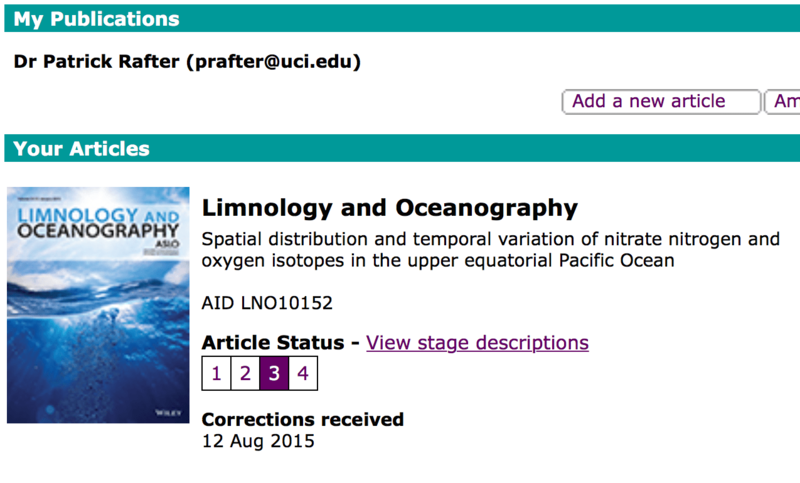 November 2016: I have two new studies examining the oceanography of the Gulf of California—one using coral (covering the past 60 years at bi-monthly resolution) and another using ocean sediments (covering the past 30,000 years). We know what year it is as we go back in time with the coral because they have annual growth bands (just like a tree). 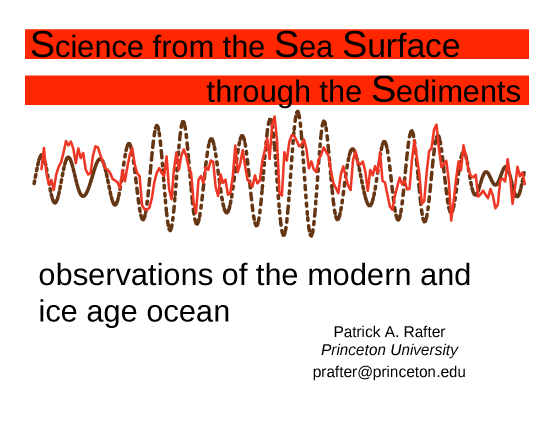 On the other hand, finding out what year it is in the ocean sediment (mud) is much more difficult. Fortunately for me, we are finding microscopic pieces of trees and shrubs in the mud! We like this because we can measure the rare, radioactive isotope of carbon (14C) and get a sense for what year it is for that part of the mud. To paraphrase one of my mentors, it’s like finding pieces of gold (actually worth more than gold if you ask me). I’ve been told this is a bud from a Juniper tree. This microscopic twig is from an unknown (but terrestrial) source. Expected to be around 23,000 years old. October 2016: My first trip to UC Riverside for a requested talk on “Pliocene Permanent El Nino”. Great group. September 2016: International Conference on Paleoceanography in Utrecht, Netherlands. I rented a bike and joined the community commute into the city every morning with good friend and colleague Francois Fripiat. It was an amazing experience! July 2016: This week is the Radiocarbon Short Course at UC Irvine. We are all helping out wherever we can. 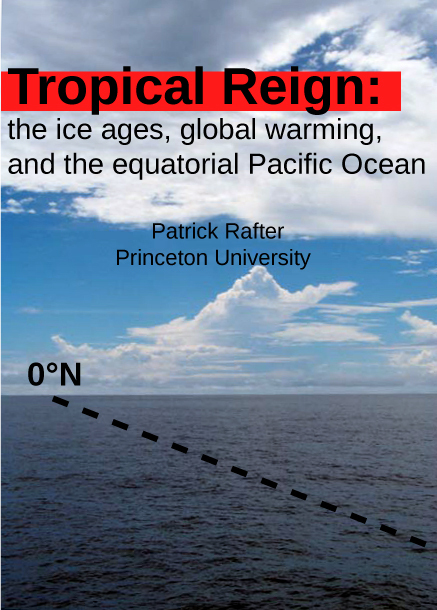 April 2016: Back to Cal Tech, this time to give a talk on internal nutrient cycling in iron-limited ocean regions. 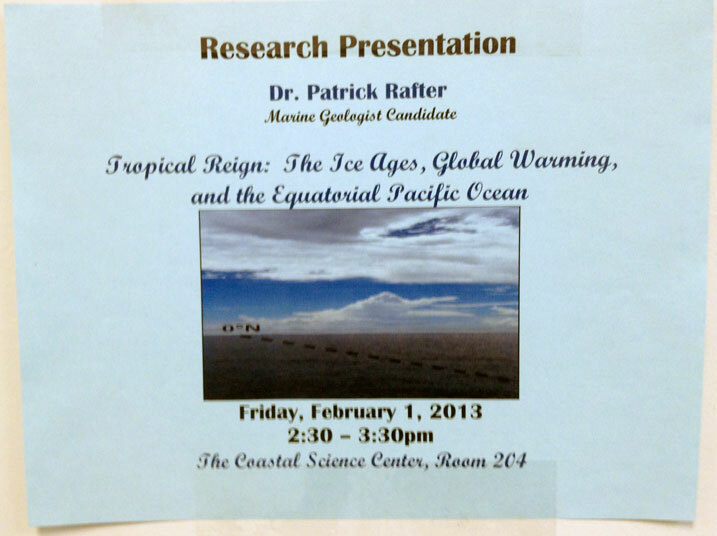 February 2016: (Ocean Sciences: New Orleans week) Ten years ago this week I had my first public discussion of my science at the 2016 Ocean Sciences meeting. I got some things wrong in this early work, but this design is pretty tight! January 2016: When I first came to UC Irvine, I showed this plot to demonstrate the many nitrate isotope measurements I made in my time at Princeton. I compared these with all published measurements. 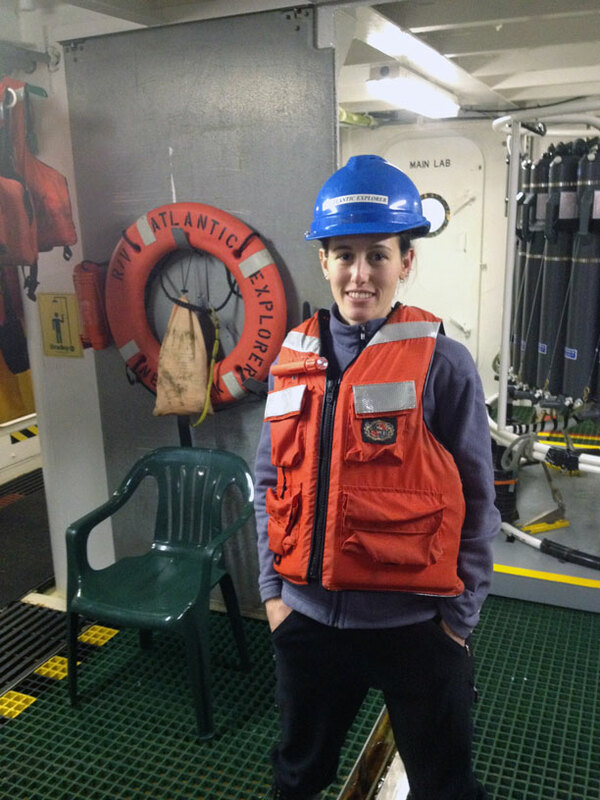 December 2015: It’s all about the AGU. 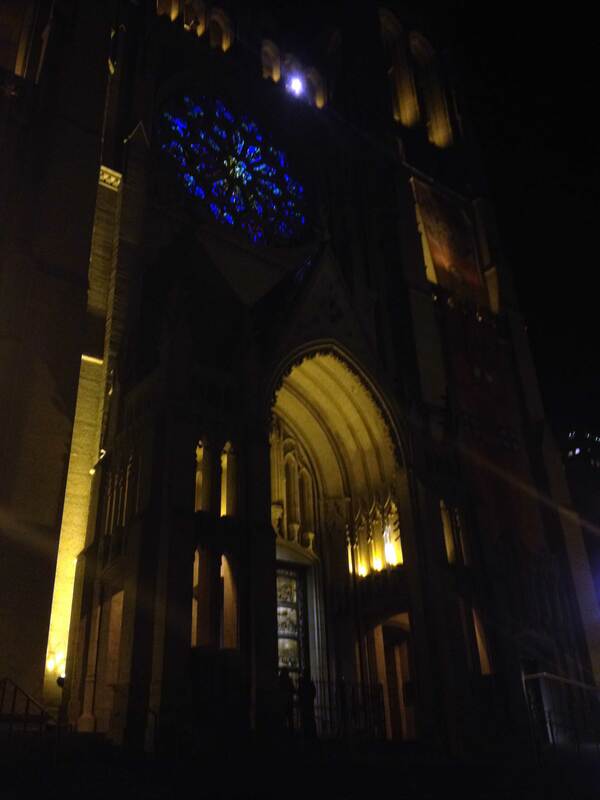 This year I stayed in a place just over “Grace Cathedral Hill” and walked by the self same place every night. It was gorgeous. 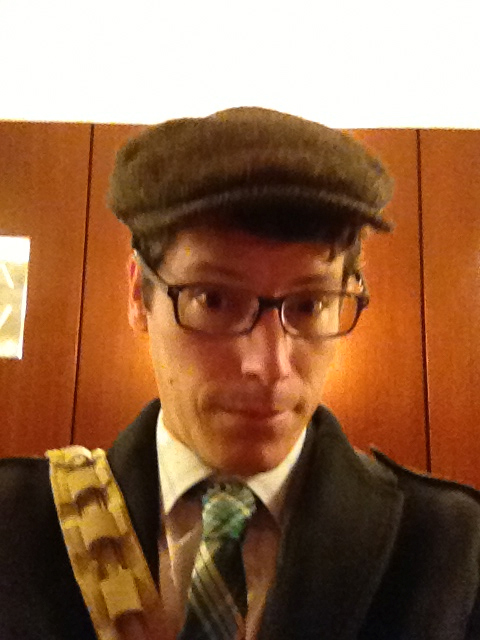 Oh and the AGU meeting was as great (and overwhelming) as it always is. October 2015: Took a trip up to Stanford, CA to present my HNLC research (see below) to the great people at Stanford University. Very fun. Proof I was there—PINE TREES! 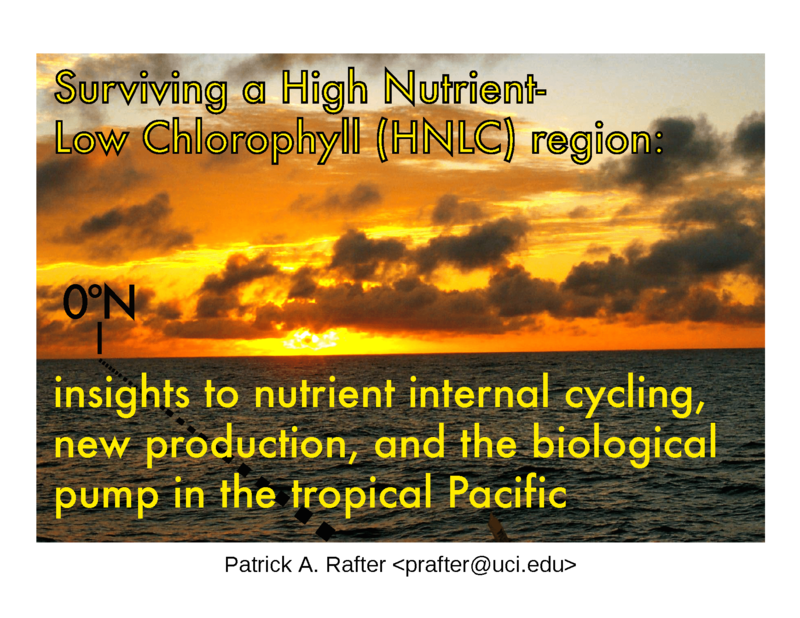 August 2015: Working up my latest paper relating nitrate consumption to iron availability in the equatorial Pacific High Nutrient-Low Chlorophyll (HNLC) region. The end result is that the observed nitrate consumption requires a good deal of internal cycling of iron. Why do we care? Because HNLC regions are places where the ocean is acting “inefficiently” with respect to carbon dioxide (CO2). In other words, places where nutrients go unused in the surface ocean (such as HNLC regions) are “missed opportunities” to resequester CO2 back into the ocean. 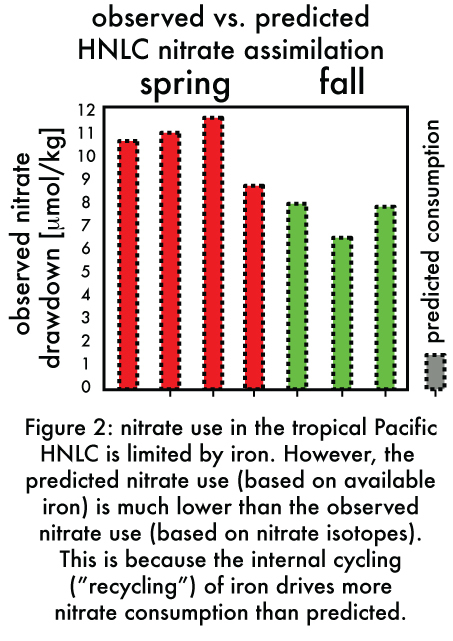 In this paper (in preparation) we find that the observed nitrate utilization, and therefore primary produciton related to upwelling waters, requires a significant amount of iron to be recycled in the surface ocean. Compare the nitrate utilization predicted based on the available iron (in gray) with the observed nitrate utilization (colors—measured over several years). It is not possible to drive this nitrate utilization with the available iron upwelled to the surface, and we propose the additional nitrate utilization is driven by the recycling of iron. 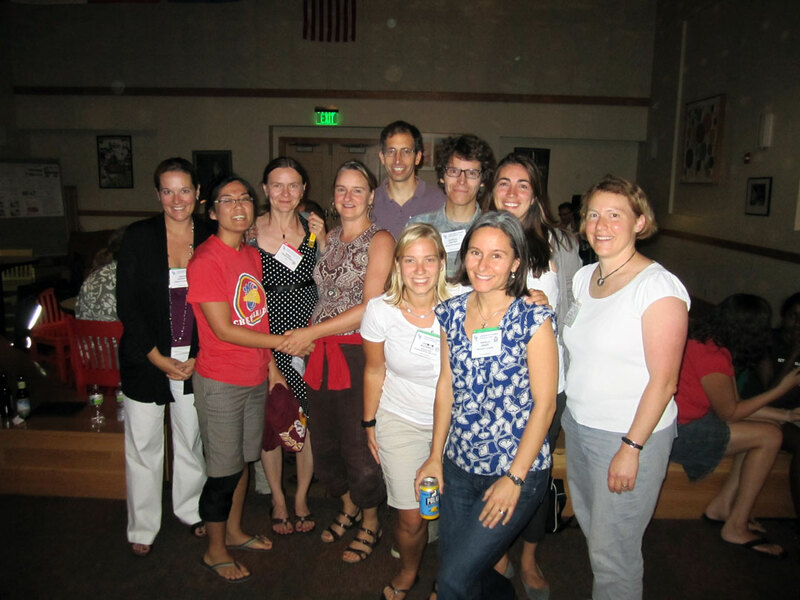 July, July, July-i-yiiiii* 2015: My favorite conference of all is the once-every-three-years Gordon Chemical Oceanography in Holderness, NH. So much good science and so many good people. My favorite talk was… well, I’m not going to say because a few of my friends gave talks (e.g., Bonnie, Seth, Tim, Tristan). New Hampshire was green and lush and nothing like southern California. *see The Decemberists’ album Castaways and Cutouts to understand this reference. April 2015: Doesn’t this equation for “delta notation” (hastily written for a student) look like a face? See, science and math can be fun! What’s missing? You multiply this value by 1000 so your “delta” value is in parts per thousand or “per mil”. This is not, in itself, inherent to the equation even if many authors include it as such. 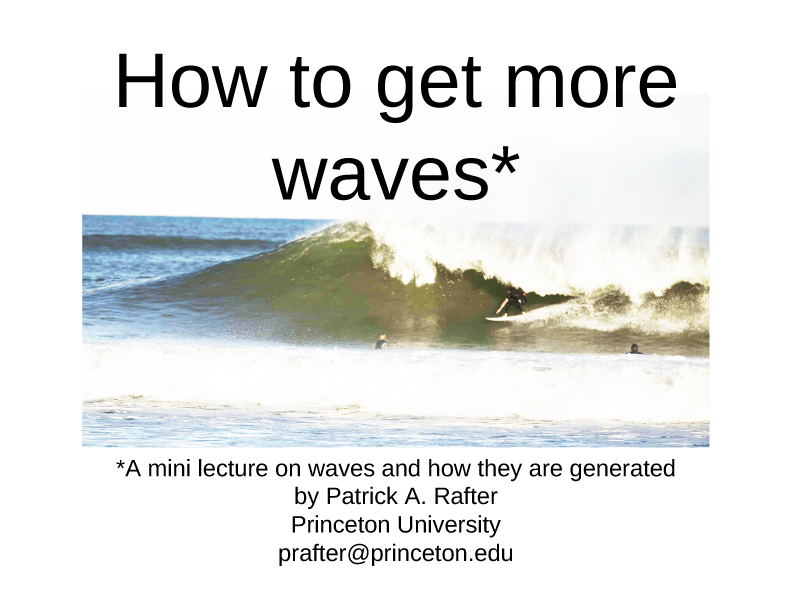 March 2015: This month I gave a talk at UCSB, which was very, very nice. Great people. Great discussions. Great science. Yes, I re-use this photo quite a bit. But it’s good! February 2015: I gave a talk at USC this month (the one in Southern California, although there is nothing wrong with the “other” USC where my friend Ry Ry works). January 2015: Attended the American Geophysical Union (AGU) Fall Meeting a few weeks ago and it was (as always) a whirlwind of Earth science craziness. I was looking through my phone for images to post here and all I had were pictures of other people’s posters and of a Burmese restaurant’s tea list (“Burmese Star”—I highly recommend). This is somehow an insight to my soul. December 2014: Gabrielle Lee is a senior at UCI working on her senior thesis this year. Here she is preparing marine organic sediment samples for combustion. She will then graphitize the sample and then we will determine the radiocarbon age of the sample. 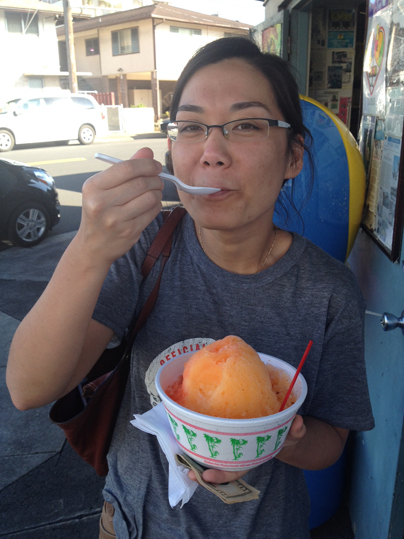 July/August 2014: I visited Princeton, NJ, Avalon, NJ, and Minneapolis, MN in two weeks. Ran nitrate isotope samples at Princeton, saw my family in Avalon, and attended the Expert Witness Training Academy in Minnesota. Minnesota was pretty great and Axel plays the piano beautifully. 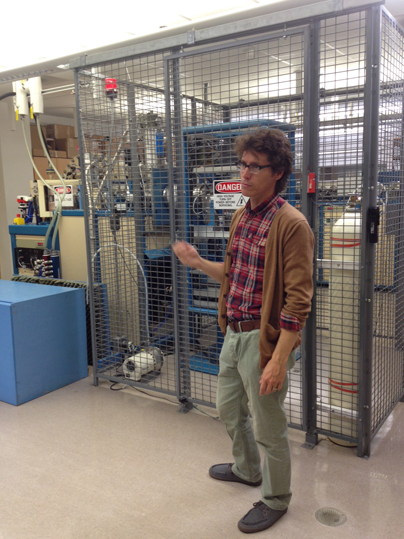 June 2014: Gave a talk at my old stomping grounds at Scripps Institution of Oceanography. Very fun. 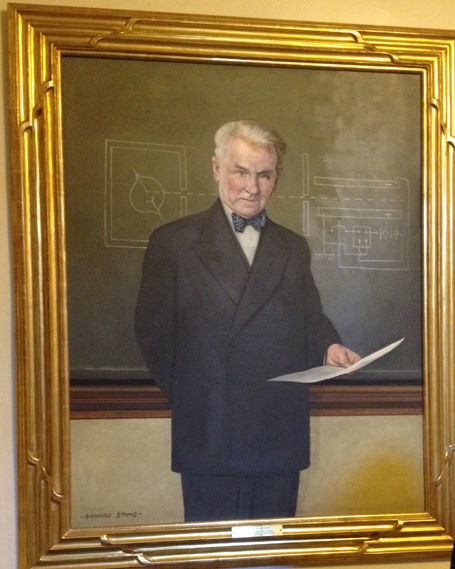 May 2014: Just had an excellent time at Cal Tech, talking about some of my research. 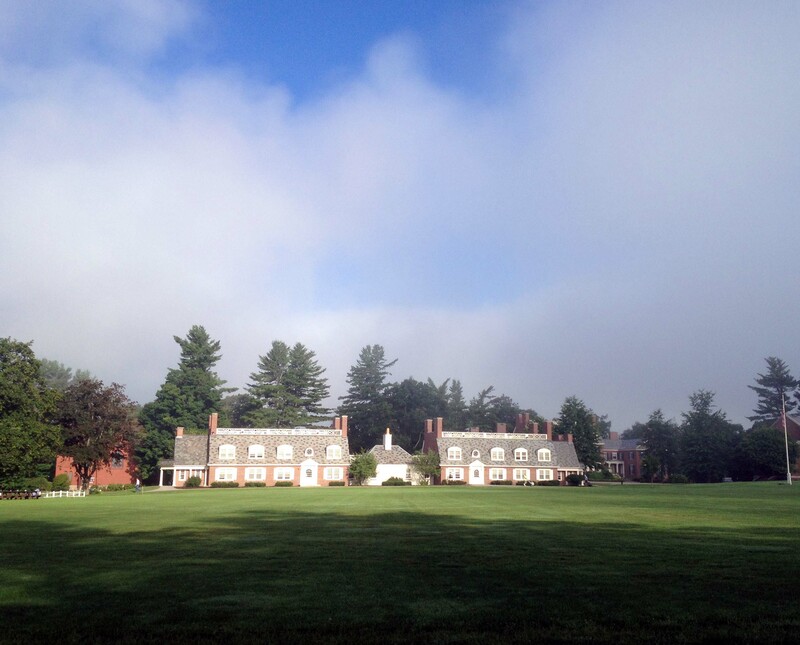 What a great campus and an excellent group of scientists. It reminded me of a west coast Princeton. April 2014: I’m happy to call UCI and the Keck Accelerator Mass Spectrometry facility my new home! I talk with my hands a lot. 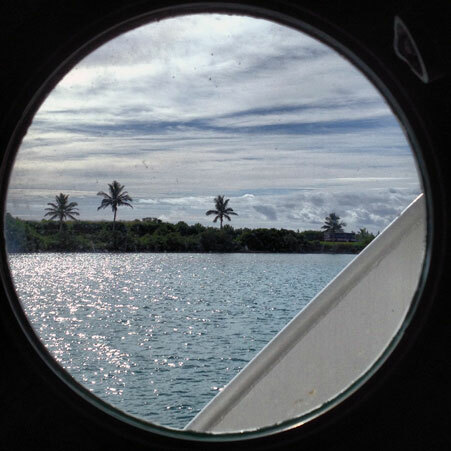 March 2014: My favorite conference is Ocean Sciences and this year it was in Hawai’i. I had a great time giving a talk to on Pliocene nutrient dynamics. And my friends Adam and Andre picked me and gave me a legitimate Aloha welcome to Hawai’i with a Kekui nut lei. 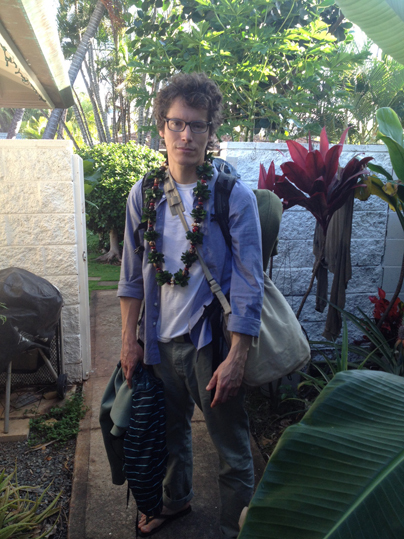 It was a long flight and I was about to go surfing, so please excuse my appearance. 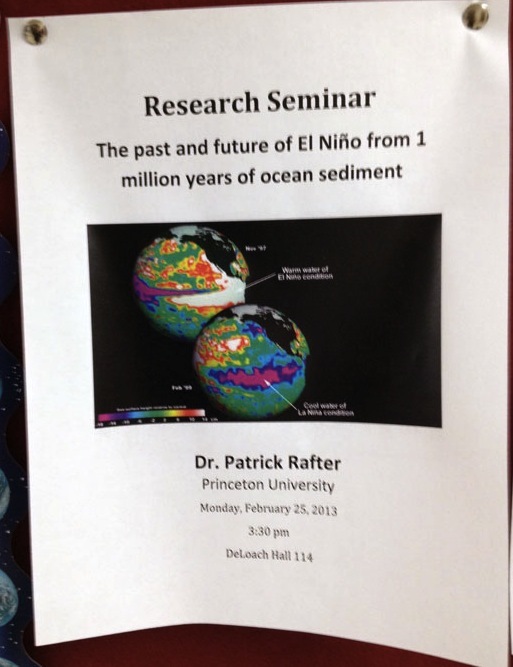 February 2014: I had a great visit to Lamont yesterday to talk about Pliocene equatorial Pacific nutrient dynamics. 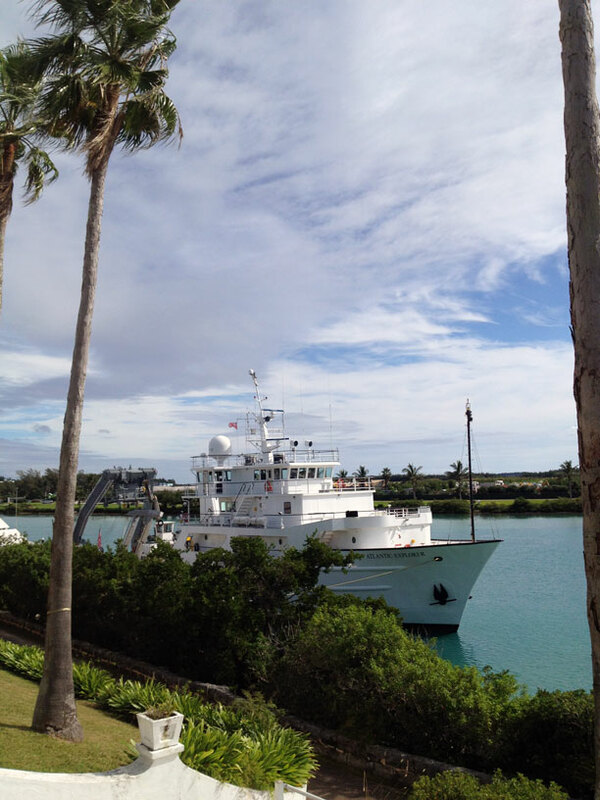 November 2013: Some photos from Bermuda with my wingman, Ph. D. candidate Dario Marconi. 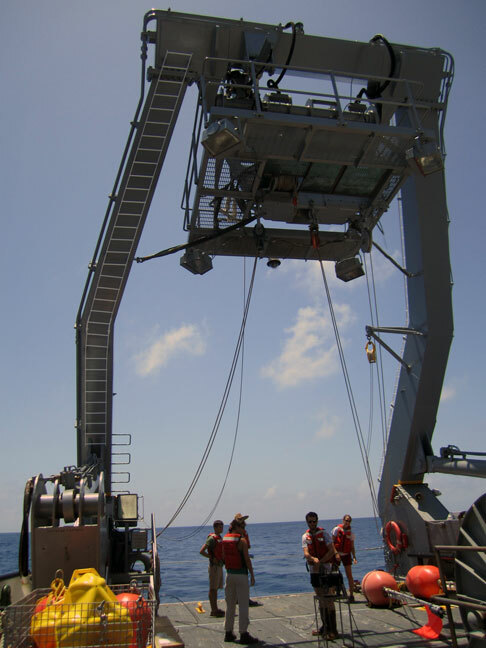 One week out at sea using McLane pumps to filter lots of seawater (to be used to identify the N isotopic composition of various phytoplankton), drag a net for three hours to capture foraminifera (and other sea creatures), and retrieving seawater for nitrate isotope analysis. I hope that it helps to put “Dr.” before your name when you have grumpy baggage handlers and the like looking over the strangely heavy cooler (it’s full of seawater! look at the label!). Maybe the PU logo also helps. 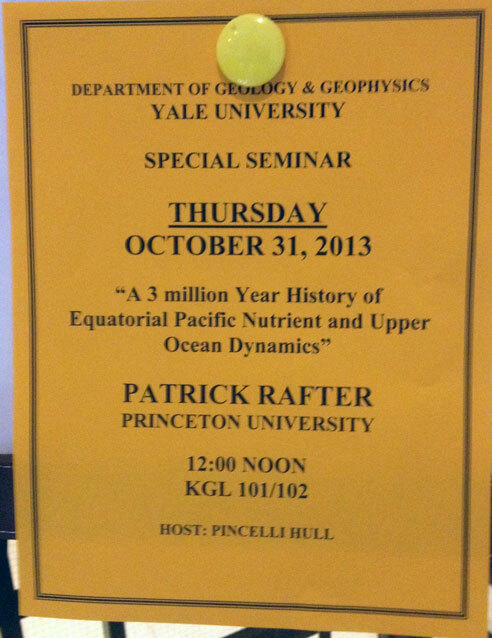 October 2013: My tour of the northeast continues, with a stop over at Yale to talk about my paleoceanographic work. Had some great discussions with Pincelli Hull, Yige Zhang, Alexey Fedorov (great questions), some others I’ve forgotten their names (sorry! ), and a surprise appearance by Gavin Foster who was on sabatical. 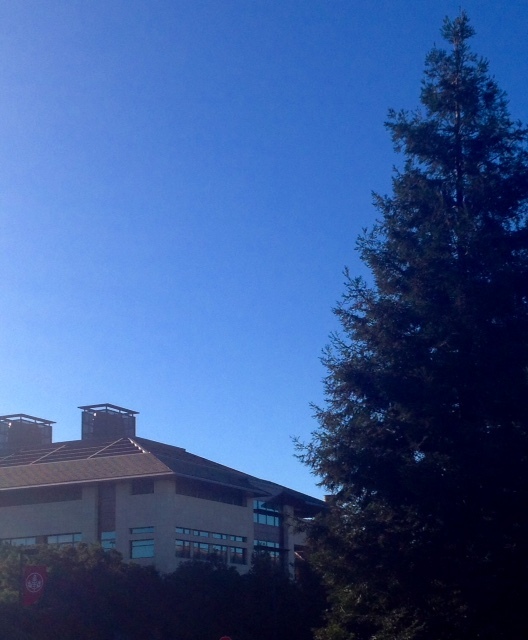 Really great architecture on campus too… slightly better than Princeton actually. Although it was a little strang to see the campus integrated into the town (public roads throughout). Not bad, just different.You had to watch where you were walking or you’d get run over by a bus. My thanks to Roo Nicholson, Mak Saito, Kris Karnauskas, Steve Beaupre, Carly Buchwald, Jessica Tierney, Kevin Anchukaitis, Carl Lamborg and others who talked science with me while I was there. (Additional thanks to David Clark for allowing me to stay in his really great house in the woods while he is away.) 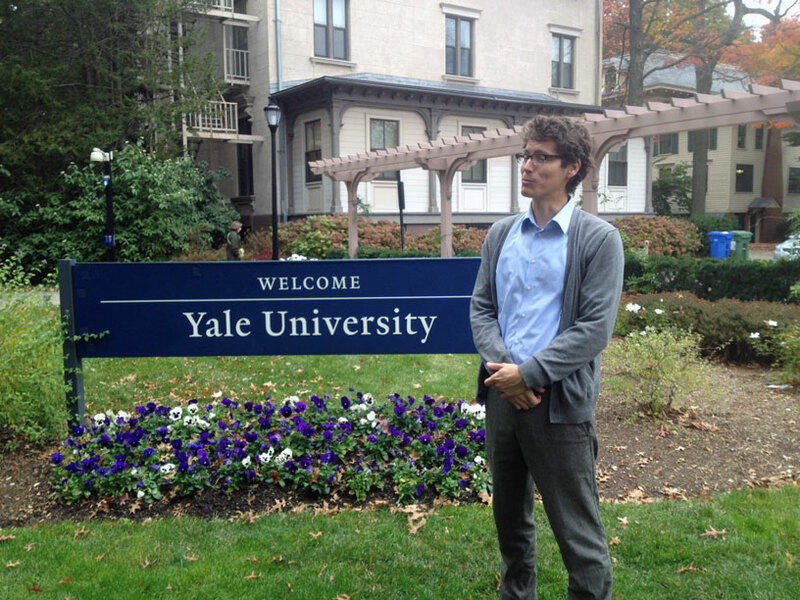 Next stop is Yale on October 31st. September 2013: This is a little after-the-fact, but I had a great time presenting at Goldschmidt and ICP in the past few weeks. 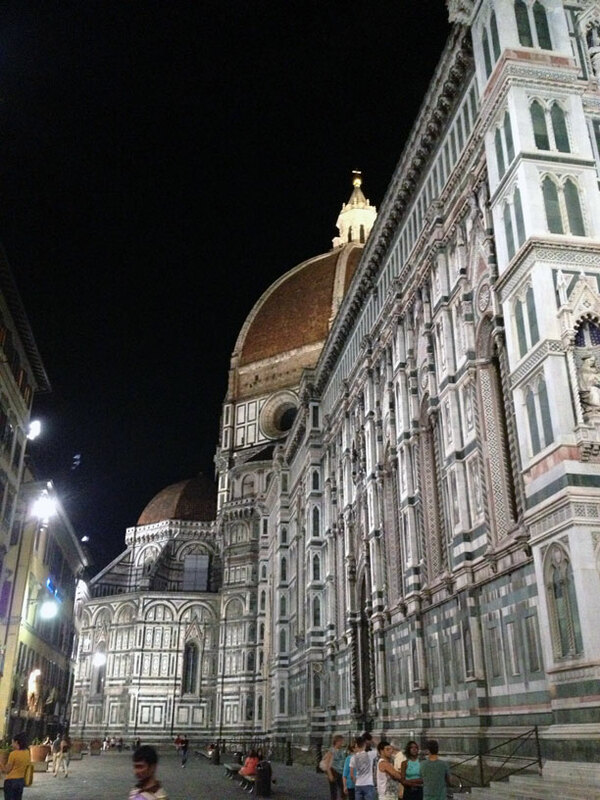 Here are some photos from my trips to Italy and Spain. 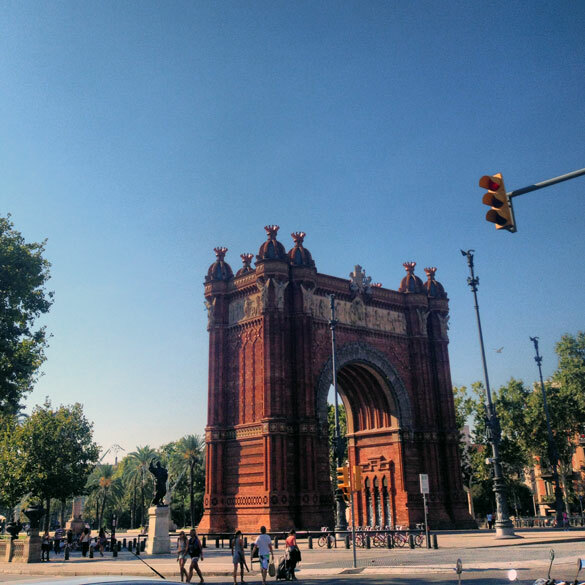 My first view upon entering Barcelona. Pretty fantastic. 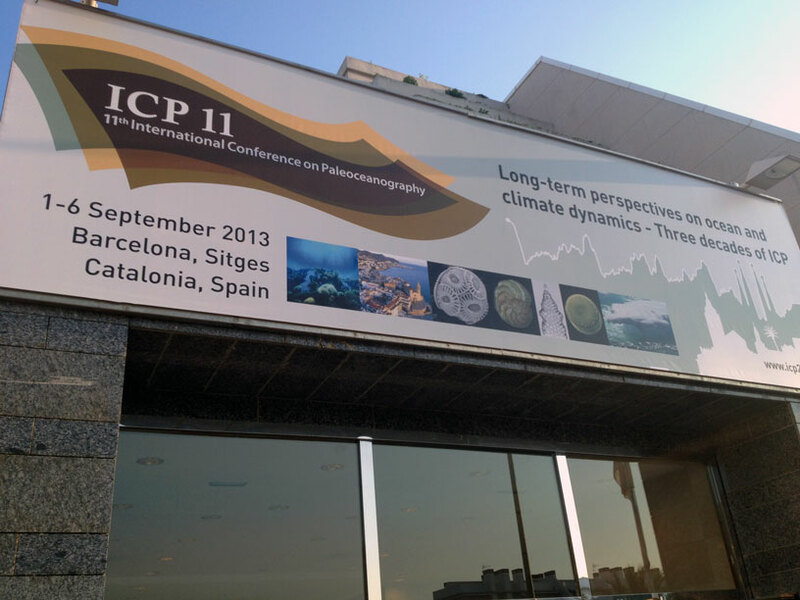 Not to be confused with the band ICP, the International Conference on Paleoceanography is serious business. 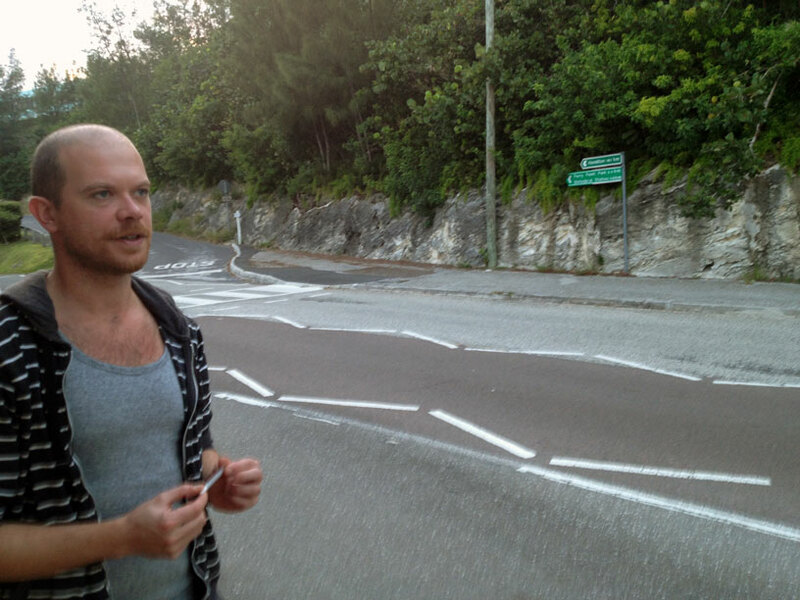 This time, in a very fun town on the Mediterranean coast (Sitges: pronounced, “Sit-Jezz”). 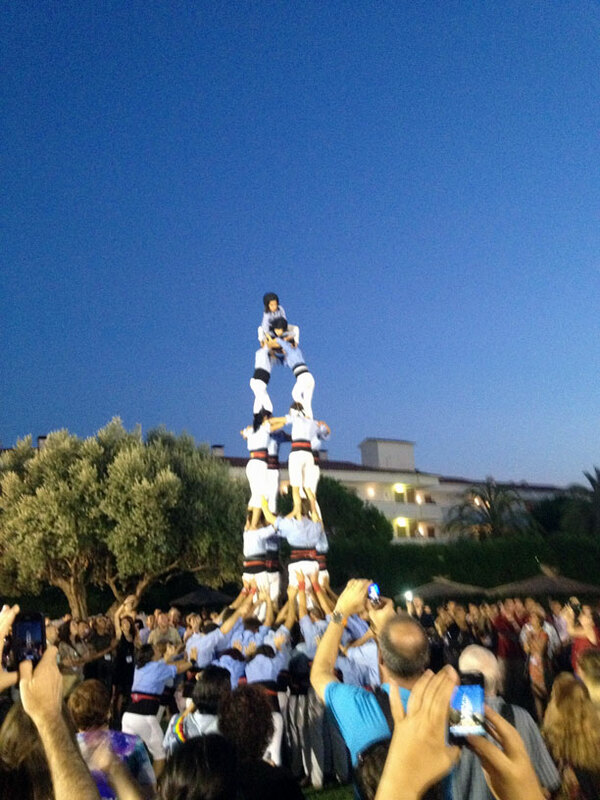 Human “castell” (or “castle”) is a tradition of Catalonia, which is the broader region of Spain we were staying in. 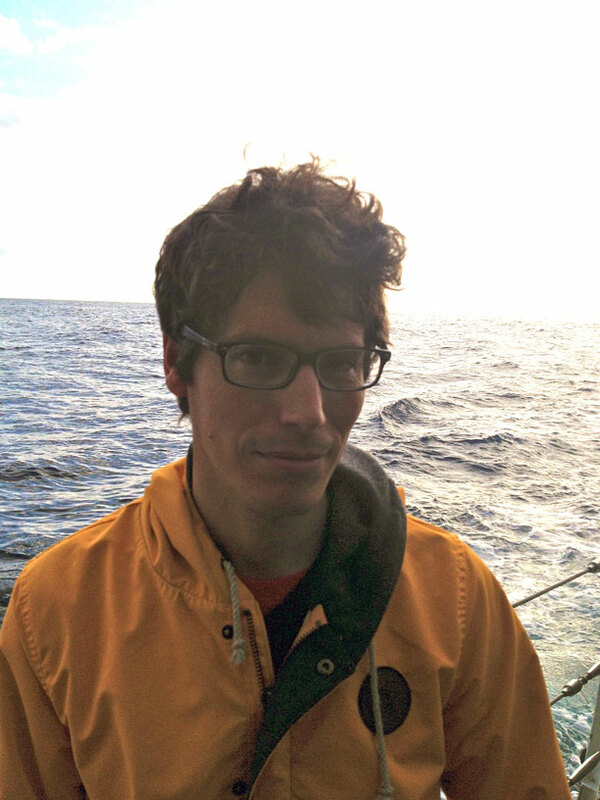 September 2013: I’m in France, performing some oceanographic research after the International Conference on Paleoceanography meeting in Sitges, Catalonia, Spain. It was great. August 2013 (1/2): My good friend Scott Soens (who is a well known photographer among other things) asked me to host the High Tides Memorial Fund “Movie Night” and I (of course) accepted. High Tides is an organization based out of my hometown of Avalon, NJ whose goal is to help families suffering from pediatric cancer. It was started by fellow Avalonian Lydia Borek to honor her son Brendan—a fellow surfer—who died from Ewing’s Sarcoma. I was there for the first fund raiser / surf contest / Brendan’s birthday party 23 years ago and I’ve been there every year since. It was a good time and I got to give out free stuff to all the surf grommets who attended. July 2013: The “In Press” version of my latest paper is available for downloadhere. It’s a good read, so enjoy. I’ll be presenting these and newer measurements from one of Mak Saito’s tropical Pacific cruises at Goldschmidt next month in Florence, Italy. Nitrate D(15-18) is simply the difference between nitrate d15N and nitrate d18O. This tells us something specific about the remineralization of organic matter in the water column. There’s a lot more to the story, of course, but I would need (and have needed) an entire paper to tell the story! 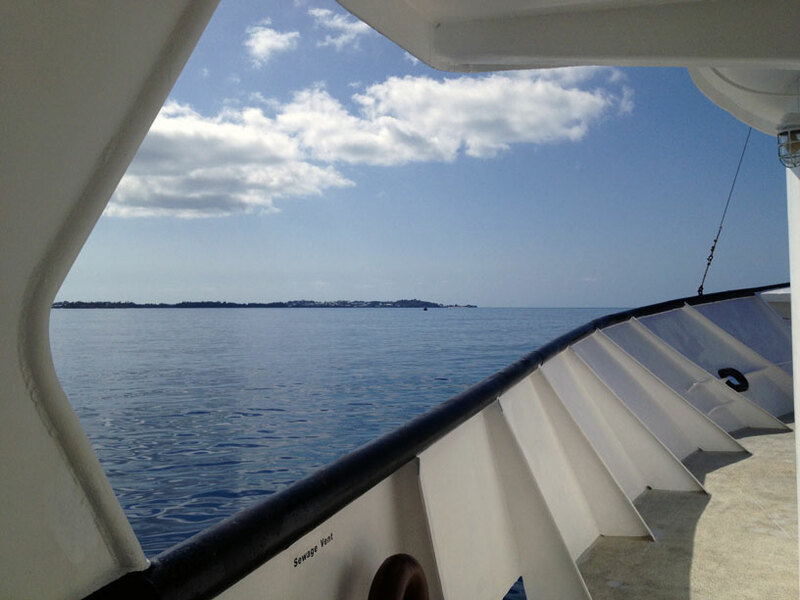 April 2013: If it’s April, it might be time to return to Bermuda—and so it was. This time, a solo trip. Starting in NJ, a flight to Bermuda, then aboard the good old RV Atlantic Explorer to the Bermuda Atlantic Time Series (BATS) location (a day’s trip southeast of Bermuda).7 days out at sea, total. 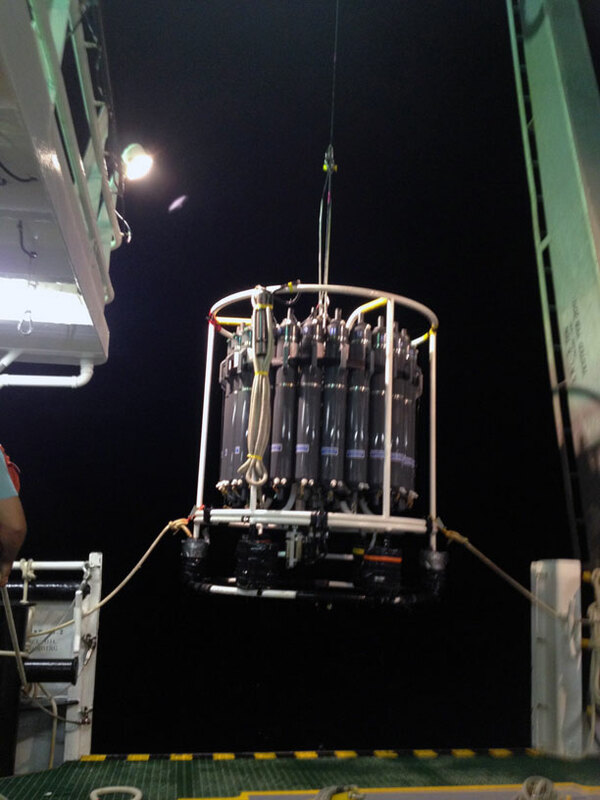 This is what’s known in the oceanographic community as “recovering the CTD”. As usual, a lot of night-work on the AE. And the night time work often leads into early morning chill-out sessions before headed to your cabin for some much needed shut-eye. 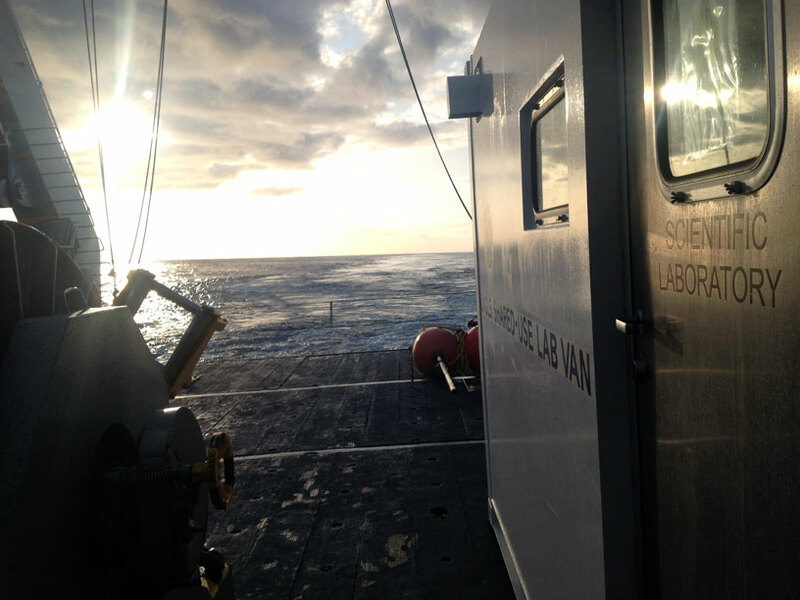 Here we see sunrise reflecting off the “science van” on the back deck of the AE. Click to make bigger. The iPhone allows you to take panoramic images, but it’s difficult when you’re actually moving. Regardless, this is a pretty neat image (at least, I think so). 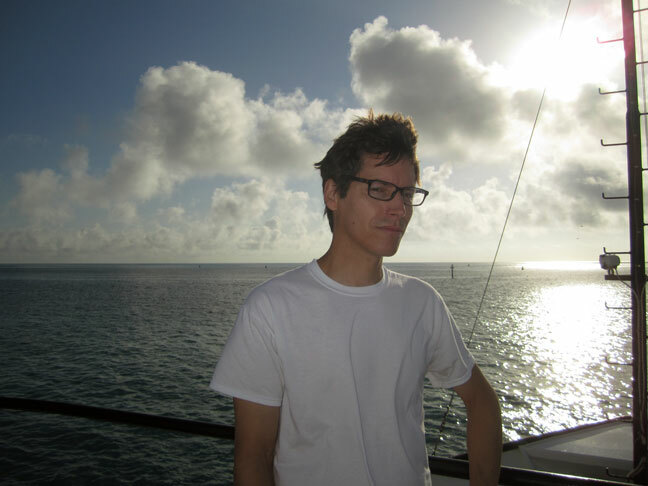 Returning to Bermuda—a lot calmer than when we left. Get it? 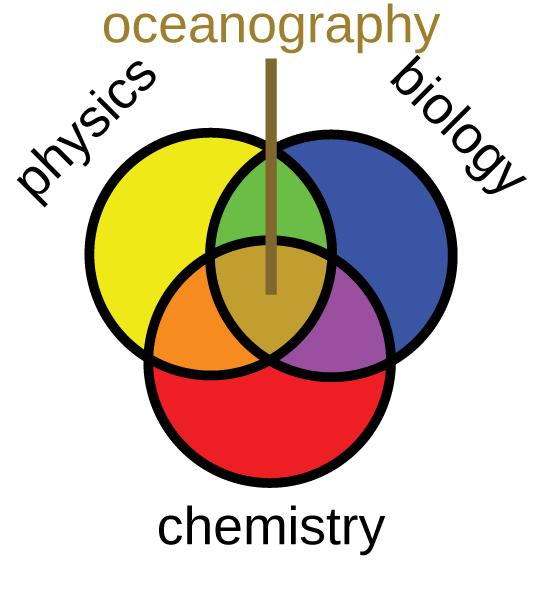 Oceanographers need to understand all the sciences. At least that’s how I see it. 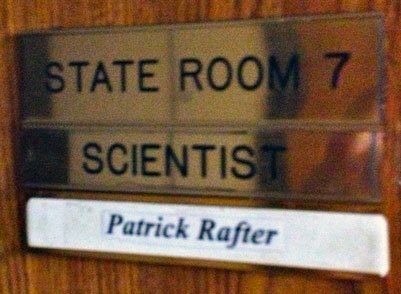 March 2013 (2/3): Patrick Rafter goes to congress. 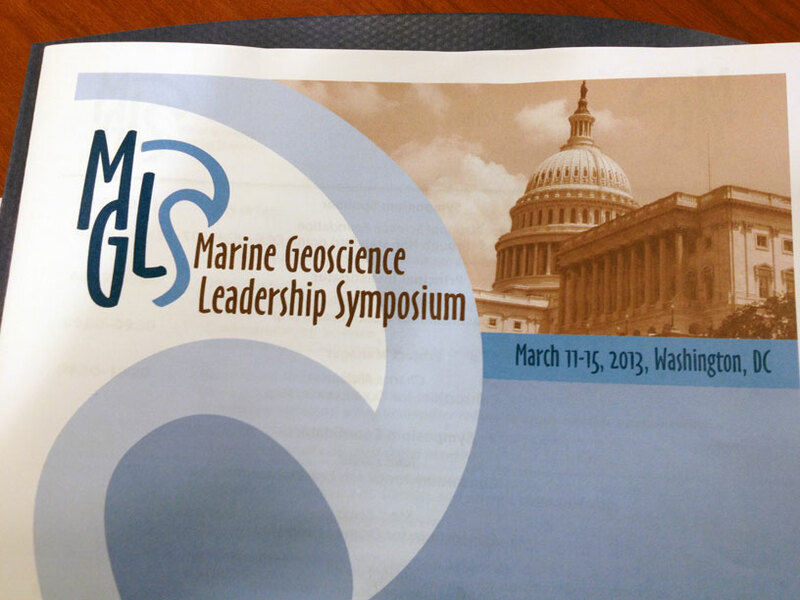 Last week was the Marine Geosciences Leadership Symposium (MGLS or “MIGGLES”) down in D.C. The place where nothing ever gets done! (that’s a quote). 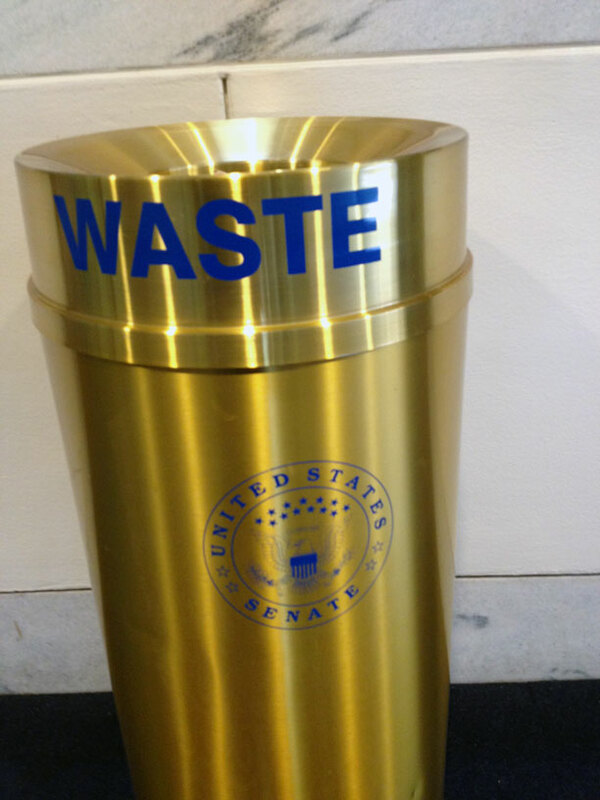 We met with Sheldon Whitehouse (D-RI), the staff of John Cornyn (R-TX) and Ted Cruz (R-TX), and with the senior person for the House of Representatives Committee for Science, Space, and Technology. It was, all around, an eye-opening day. March 2013 (1/3): I finally submitted this monster paper on nitrate isotopes and there are some really great figures that I can’t wait to share. However, sharing unpublished data is (somewhat) frowned upon by the scientific journal community, so I will only share a figure that is of already published data! Super cool! 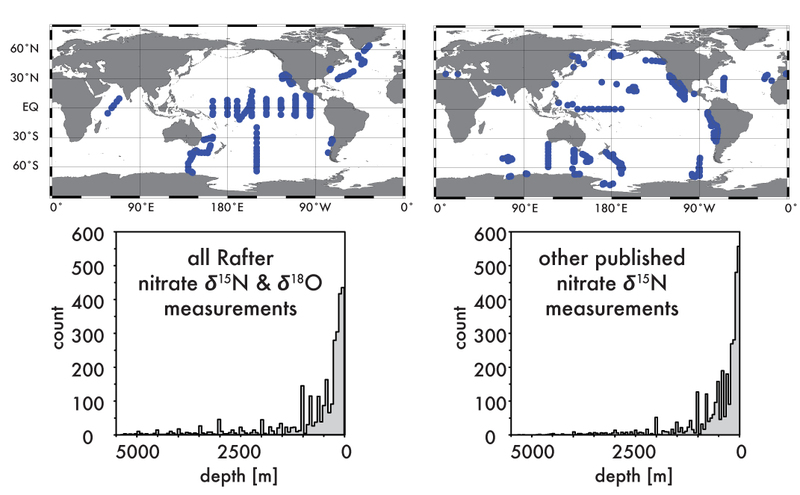 (A) is nitrate concentration for the surface ocean and (B) is nitrate concentration at the depth where density is about 1026.8 kg/m3 (we just say “26.8” for this). This is about 500 m in the lower latitudes and is at the surface near the Southern Ocean (the white means there is no water of that density). (C) is the difference between nitrate and 16 times phosphate concentrations at this same density level and (D) shows salinity at that same density level. The interesting thing here is that salinity is low in the Southern Ocean surface and these waters get pushed deep and move towards the equator—but they don’t go straight to the equator! They hook around the South Pacific gyre first and then get “saltier” as they mix with shallower waters in the Coral, Solomon, and Tasman Seas. Science is cool. 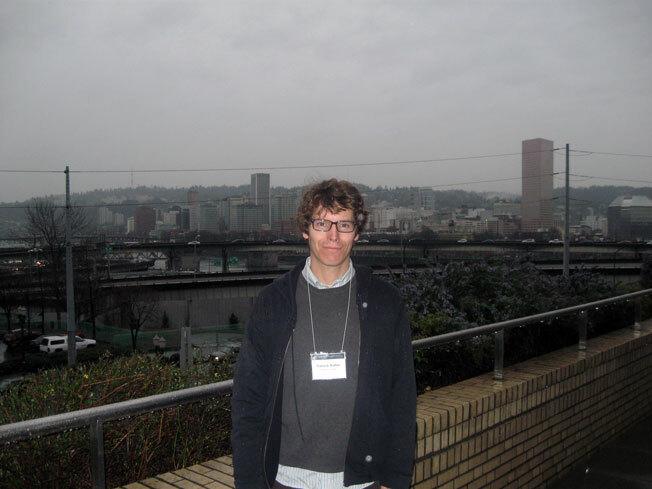 January 2013 (2/2): Had a great time last week at the DIMACS meeting (Discrete Mathematics and Theoretical Computer Science), wherepaleoceanography/paleoclimatology smashed into a mathematical wall… lots of interesting talks about how to correctly use statistics to analyze your data. 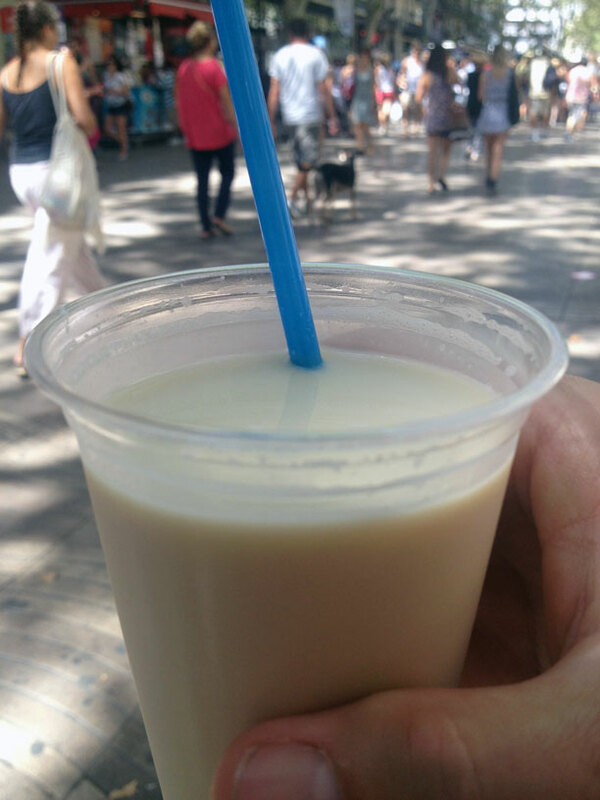 Yes… it sounds boring, but it was great! December 11 2012: I was sad to hear about the passing of Devendra Lal, a professor and pure-blooded scientist at Scripps Institution of Oceanography. We shared a few personality traits, such as being hard-headed, stubborn scientists who venerate curiousity and creative approaches to scientific questions. He made the last few years of graduate school quite nice when he told me that he was happy to see my progress as a graduate student and very excited to hear about my research. He was an inspiration. November/December 2012: A long week at the national AGU conference in San Francisco and a lot of good science, although I have to say that one of the best talks I saw was by my friend Sarah Fawcett! October 2012 (3/3): I was sad to hear that Ben Flower died recently. 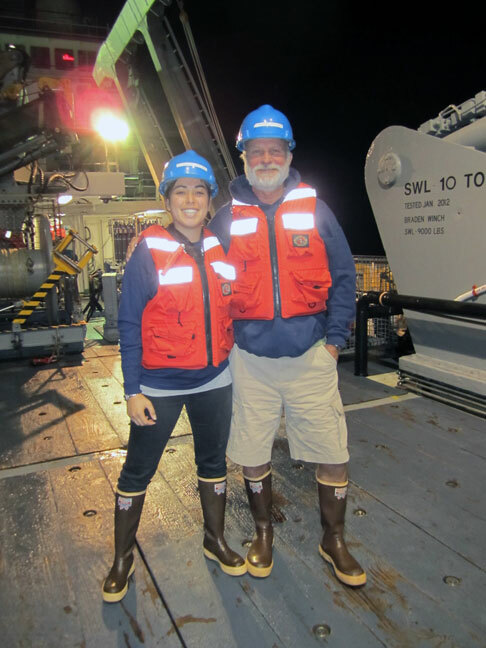 He was an unofficial mentor to me and several other young scientists at an IODP workshop last year in College Station. The earth sciences have definitely lost a great guy. See the whole article here. October 2012 (1/3): It’s great to see that my Paleoceanography is not just one of the “Most Viewed”, but it is THE top page view this week (97 since last Monday). If each of these page views are unique (i.e. each from a different person), then in the past two weeks there were over 200 people interested in this paper. 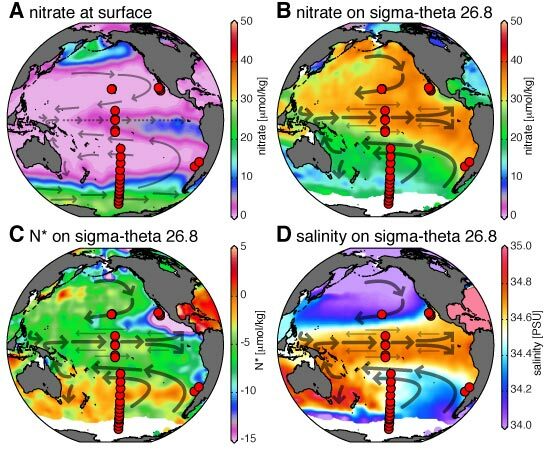 September 2012 (1/2): I have a new paper out today: “Pleistocene equatorial Pacific dynamics inferred from the zonal asymmetry in sedimentary nitrogen isotopes” in Paleoceanography‘s “Currents” section. It is a great paper and I think you should download and read it. Link here. 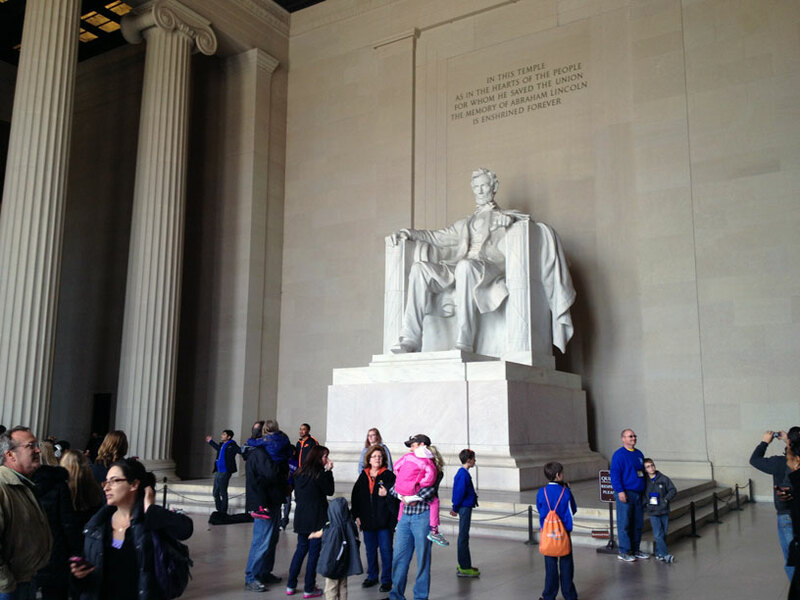 August 2012 (1/2): Do you like science? Of course you do, so you will probably findthis short history of discovery (and rediscovery) of the Equatorial Under Current to be very interesting (link here). It’s by the well-known Mike McPhaden who most people know as the President of the American Geophysical Union, but I know him as the guy I sailed with from San Diego to the Galapagos (what a great trip). 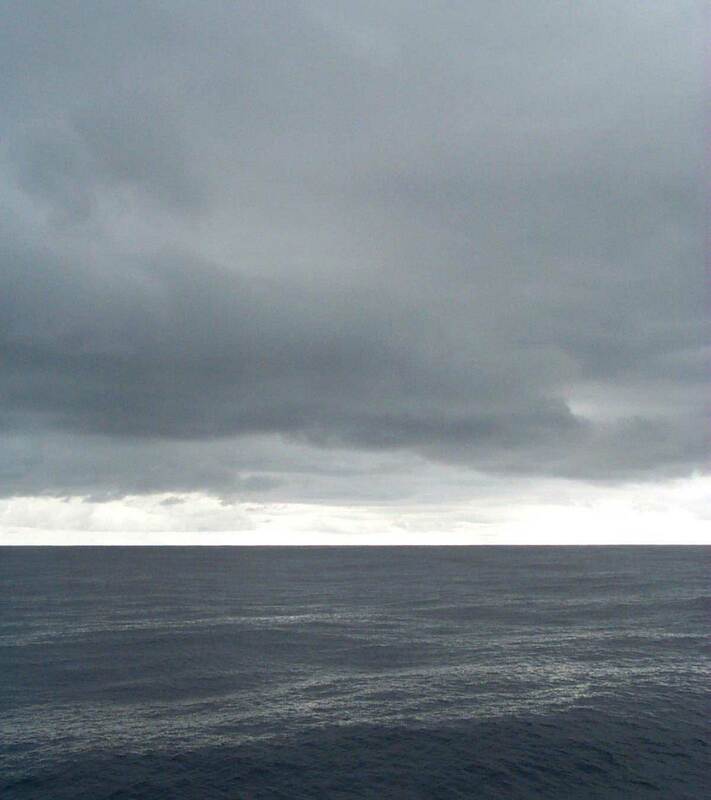 Speaking of which, here’s a photo I took while we were passing under the Intertropical Convergence Zone (ITCZ: also known to non-scientists as the place on the planet where it rains a lot). BIOS got a new logo. There was a lot of conversation about the new design. Flat seas and nice weather. Can’t ask for much better (yes, I will try to make more rhymes a part of this webpage). June 2012 (2/2): And so we are off for a week of thrilling science (geochemistry, to be specific) in Montreal. My boss Danny Sigman will be receiving the EAG Science Innovation Award in Biogeochemistry. 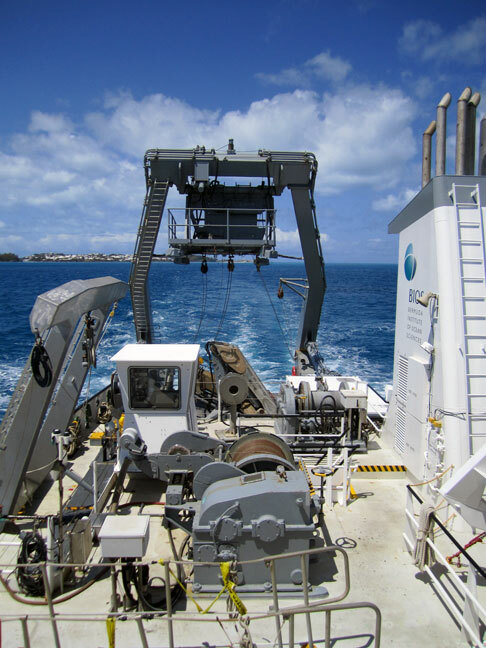 I am getting ready for ANOTHER cruise off Bermuda (in July), which is part of a multi-year study of zooplankton and their role in surface ocean cycling of nitrogen. More on that when I get back from the cruise, but right now I thought it would be interesting to speculate about the Pacific—in particular, future ENSO conditions. We have just experienced a fairly large La Nina, but things are changing quickly in the tropical Pacific, such that we are already seeing an increase in the MEI to 0.7 (a way to measure conditions favoring El Nino or La Nina). As it is, there is a 50% chance we will go into another El Nino. This is a complicated topic, but this could be bad news for places just now recovering from the devastating wild fires associated with the last El Nino (like Australia), because El Nino events are associated with a shift in precipitation from the western side of the tropical Pacific to the central or eastern side (drying out northern Australia, Papua New Guinea, and possibly other regions as well). 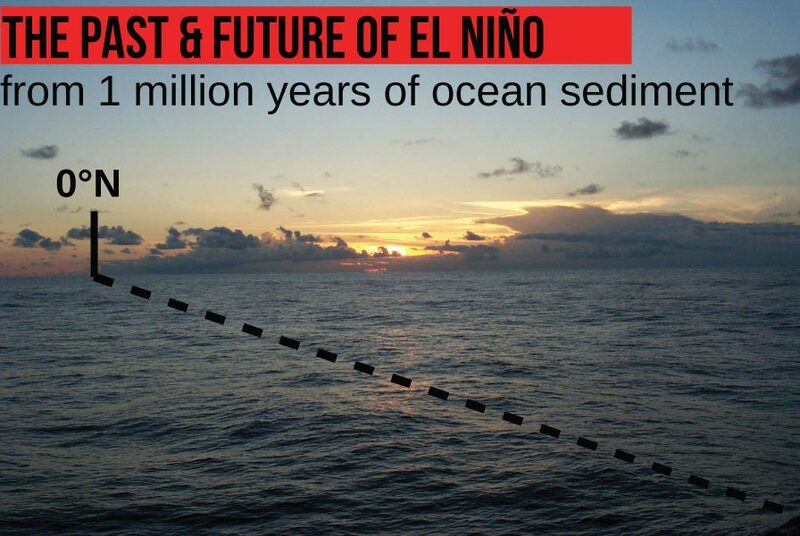 If El Nino conditions are established, the next question to ask is what kind of El Nino is it? The last El Nino was considered a somewhat weak, central equatorial Pacific version, versus the very strong eastern El Ninos of 1982-83 and 1997-98. Either way, it would be interesting to acquire seawater samples from areas influenced by ENSO and, as it happens, I have been! With the help of the CalCOFI program, I have been collecting seawater samples from the California Margin since spring 2010 and one of my goals is to see if changes in ENSO affect the nutrients delivered in these waters. The connection to the tropics occurs through a deep current (the California Undercurrent) that brings warm, salty, nutrient-rich waters from the tropics. 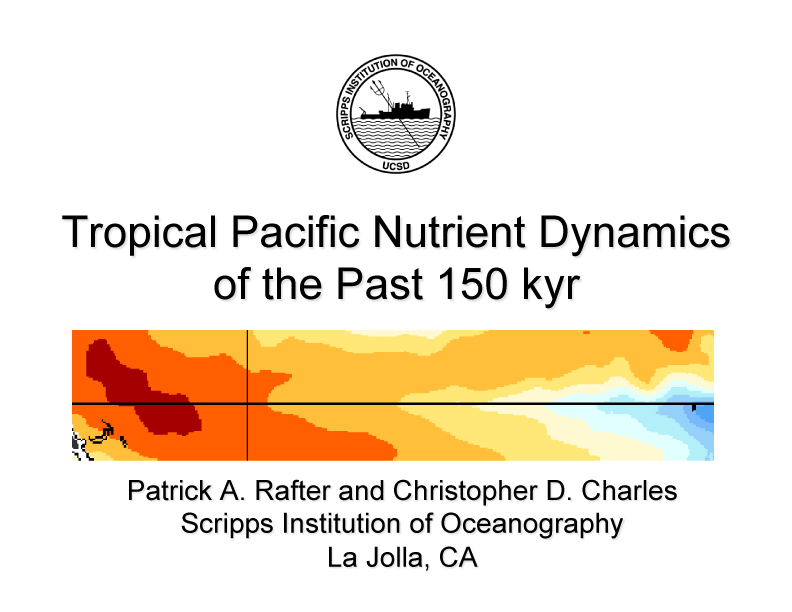 As a student at Scripps, I would look out from the San Diego coastline and think about this source of “spicy” tropical water—wondering if ENSO can affect the delivery or change the characteristics of these waters (and the nutrients within these waters). One of the reasons we care about these things is that IF there is a change in these nutrients, we would expect there to be changes in the growth of phytoplankton and thereby, the growth of fish that eat the phytoplankton. I don’t eat fish, but plenty of people do and either way, it is an important part of the west coast economy. 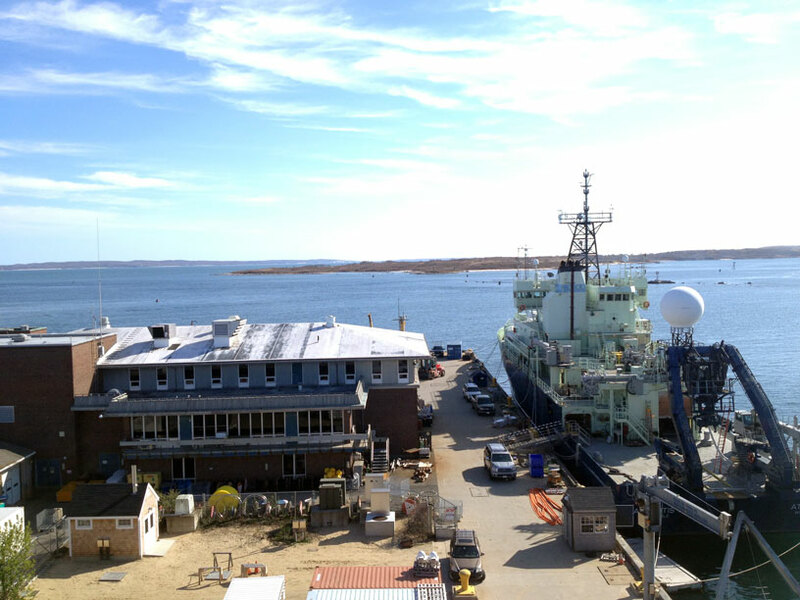 I also care about what controls the delivery of nutrients because many of the paleoceanographic tools we use to understand past oceanic conditions rely upon the growth of phytoplankton. 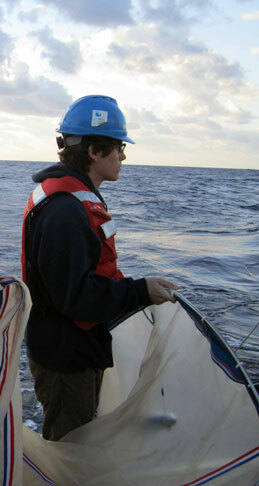 April 2012: Just returned from a succesful research cruise in the North Atlantic. Thank you to all the BIOS and BATS personnel who provided essential support before, during, and after the cruise! You can download the entire PAGES newsletter HERE or just go to their website HERE. 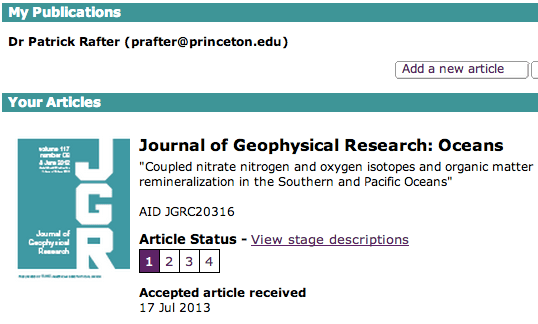 January 2012: My paper on tropical Pacific nitrate d15N (and how it got that way) is out and I was happy to see it is the most popular manuscript at GBC this month. Submitted for review October 2010, published in 2012… lesson learned. Publishing can take years (even when there are no problems with the paper). Peer review is slow. December 2011: When I was in graduate school (at Scripps Insitution of Oceanography), a local high school student named Ulisses Barraza helped me preprare hundreds of sediment samples for N isotopic analysis during his summer vacation. He was a huge help and he later went on to UCLA where he is majoring in chemical engineering. The latest news from him is that he recently visited the White House on behalf of San Diego’s Ocean Discovery Institute (link here). Great going, Ulisses! 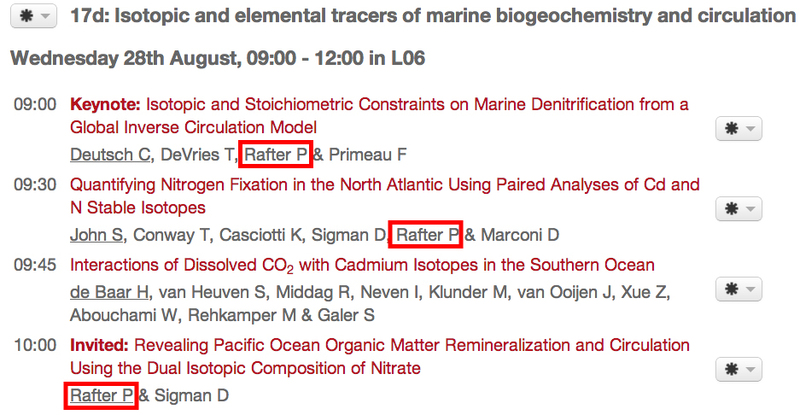 August 2011: Had an amazing time at the Gordon Chemical Oceanography conference… I had always heard about these and I was finally able to see what it’s all about. July 2011: Drove to Nova Scotia for an excellent meeting discussing (what else?) nitrogen isotopes! 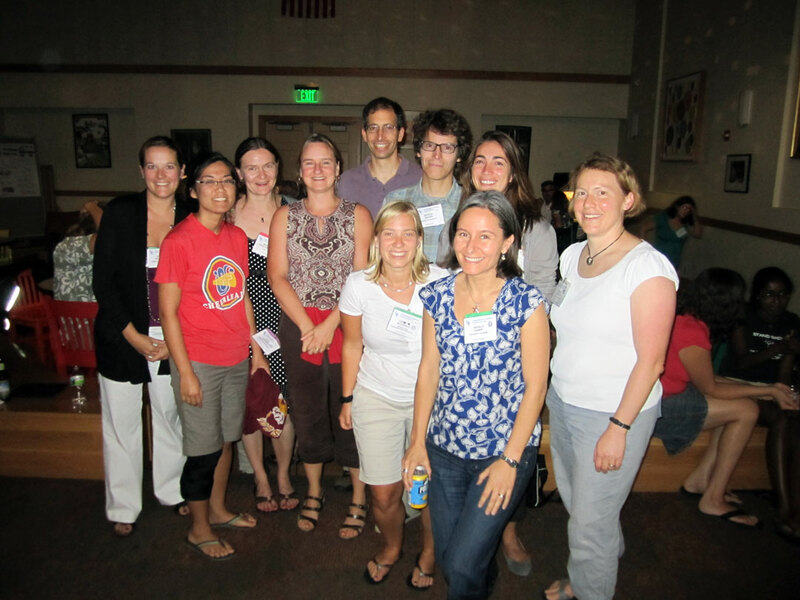 It was the NiCOPP meeting (Nitrogen Cycle in the Ocean, Past and Present). 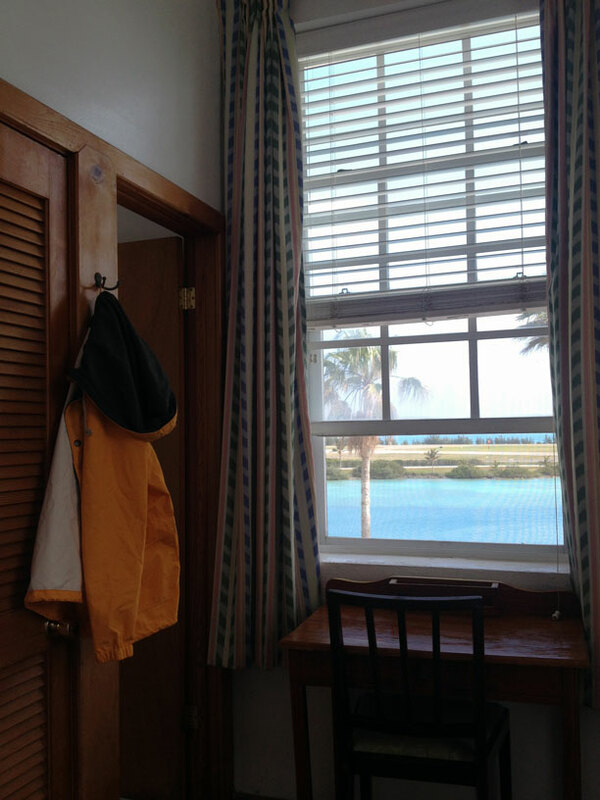 I had a great time staying at Dalhousie and venturing out to the coastline (there were good waves my last day there). It’s incredibly pretty there. Look for my report on the meeting in an upcoming PAGESnewsletter. 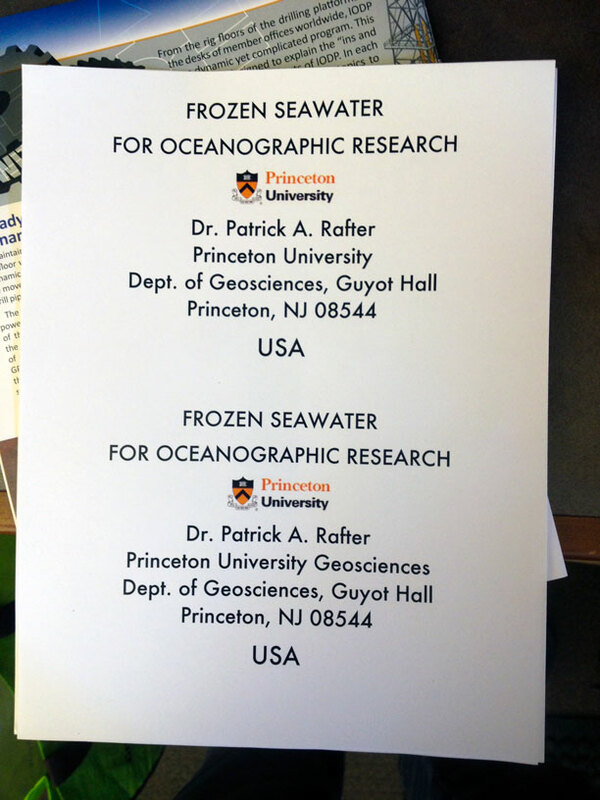 March 2011: I was invited down to College Station, Texas for a meeting by the “International Ocean Discovery Program” (yes, that is their new name). It was an Early Career Workshop concerning ocean drilling and such. I, conveniently, needed to sample some cores and got to see the huge refrigerators holding all the sediment cores. That’s a stylized version of Scripps pier. I had some good times alongside that pier. 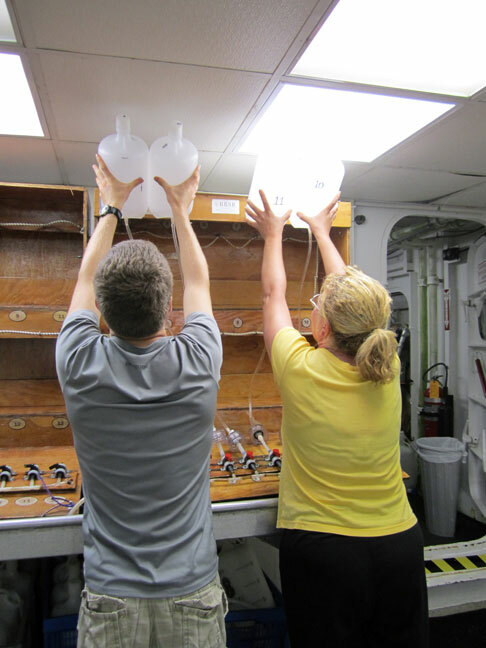 April 2010: I’m busy making lots of nitrate isotope measurements in the lab and have been wondering what nitrate d15N and d18O looks like for the coastal ocean. My first insight was that there is no nitrate is south Jersey surface water (just outside the wave zone in Avalon, NJ where I grew up). My “local” surf spot in Sea Girt has around 6.3 uM nitrate in the surface coastal layer. I wonder what the isotopes will look like? News flash: it’s cloudy and rainy in Portland, OR. September/October 2009: My return to New Jersey! I am a NJ native, but it’s been a long time. I’m excited to be working in the Sigman lab.